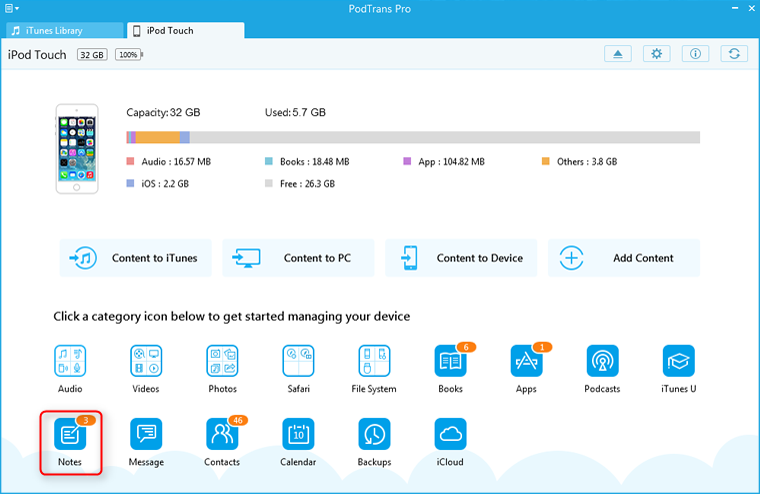 PodTrans Pro can help you manage and export personal info like: contacts, messages, voicemail, calendar, notes, etc. Therefore, it is necessary to save them via backing up to computer. Currently, messages, calendar, notes can be transferred to computer, while contacts and voicemail is available to transfer to iPod device. 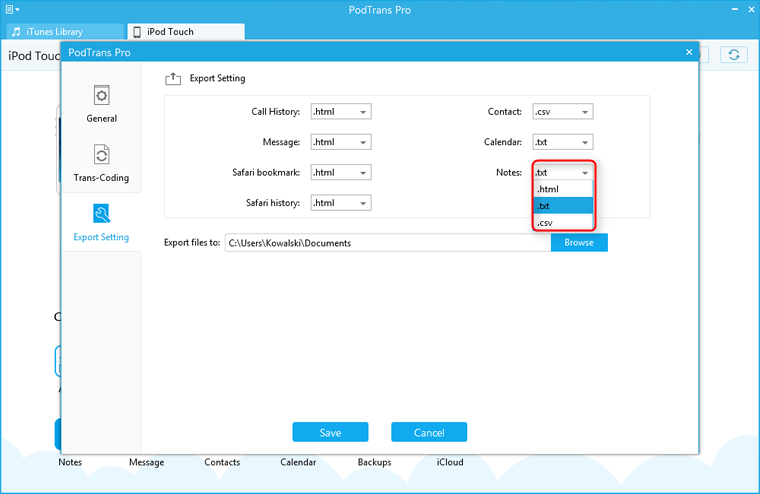 You can also edit contacts or calendars as well as add additional notes on PodTrans Pro. 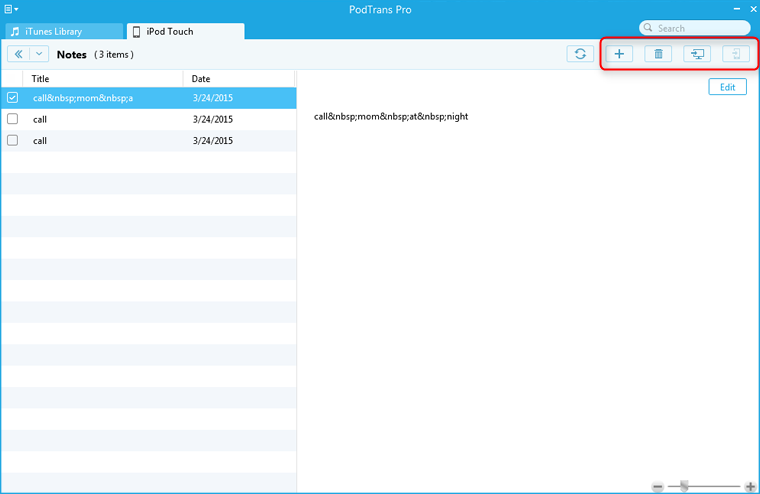 How to Export iPod Notes, Messages, Contacts, Calendars, Safari Bookmarks? Step 1: Connect your iPod Touch to computer once logging in PodTrans Pro. Later, click Notes button to go on. Step 2: Tick one or more notes to copy them to the computer. Here are three formats to export notes: html, csv and text format. Please click "Setting" button on the main interface to choose the format you wanted. Step 3: Check your copied notes from the path you selected.